Many mountain bikers set their mountain bike tire pressure lower than the recommended psi that is found on the sidewall of the tire. Let’s find out the reason for this. Why is lower pressure better for mountain bike tires? Using a lower psi setting for mountain bike tires is better because it will increase traction, absorb stronger impacts, and be a more comfortable ride. Having tires with a low psi is not enough to improve your mountain biking. You need to know how best to benefit from it. One of the most common places where you need traction the most is when you are cornering. You need strong gripping tires as you enter the corner, go around the corner, and exit through the corner. Low pressure tires increase the tires contact with the ground which improves traction. Mountain bikers need to brake at times, sometimes at a moments notice. Using a low psi gives the rider the grip he needs to be able to brake when needed. Not having a low enough psi will cause the bike to skid or slide when braking. When riders push down on the pedal to go faster they want to accelerate immediately. Not have the right amount of grip will cause the back tire to spin out. Using a lower pressure on the back tire will prevent this from happening. Immediate gripping of the ground enhances acceleration faster. Riding over a lot of rocks and roots can make for a very bumpy ride. You will lose a lot of momentum by bouncing up and down, when that momentum could be used to go forward faster. A low psi helps your tires conform better to the ground and absorb the impact of those roots and rocks. Downhill riders should use a low psi to get the most traction possible. Gravity plays a big part in going fast downhill. 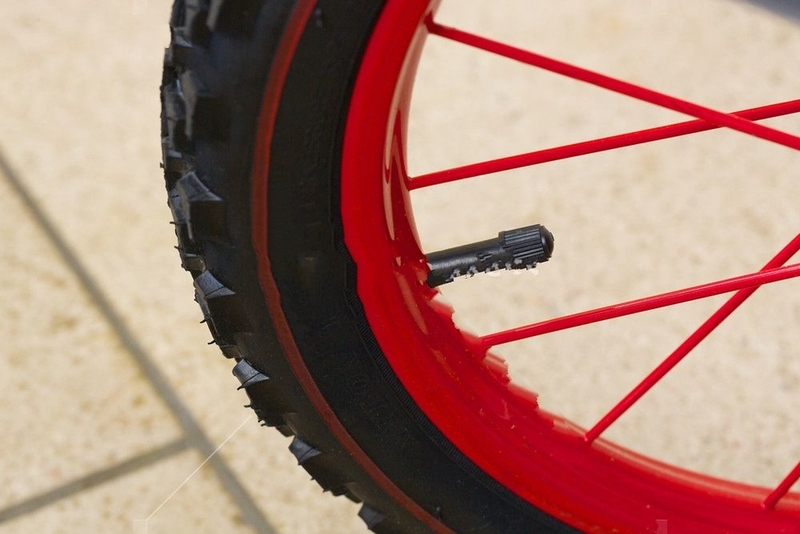 So riders need their tires to have good grip in order to make it all the way down the hill without wiping out. Singletrack riding is a type of riding where low tire pressures are needed. Those single tracks are only so wide. One false move can send you off the trail and into the grass, or into a tree. Twisty singletracks need traction so rider can stay on the trail and still go fast. Finally technical terrain riders need traction for going faster, stopping and starting, and to handle the twists and turns of the terrain. They also need the suspension of a low psi in order to absorb the sharp edged impacts the tires will hit. If you have your tire pressure too low then pedaling and speed will be slow and sluggish. The rims of the tire can be shifted out of shape and can bend if you hit a rock or root very hard. Very hard impacts can also cause a flat tire by puncturing the tube. When you are going around a turn the wheels will not feel stable. The sidewall can feel as though it is collapsing and compressing too much. When riding through a drop off you will feel as though you are landing on your rims. There will be no suspension going over rocks and roots. If the PSI on your tires is too high then you will be able to pedal easily and go faster. Your tires will feel very nimble and you will roll over roots and rocks easily. But as you go over the roots and rock the impact will be severe and bouncy. You might blow out a tire and get a flat. When it is time to brake you won’t have as much grip and you may start skidding. Going around corners will be fast, but you may keep going straight through a curve because you don’t have enough traction. Even feathering the brakes does not work due to lack of grip, you’ll slide. First, start by setting your current tires to the tire pressure recommended on the sidewall of your tires. Then find a looped trail in your area that is not too long but has a good balance of smooth trails, rough trails, corners, drop offs, and jumps. Pay attention to how much grip you have when cornering. Make sure you shift your weight forward, backward, left and right. Notice how it feels when you ride over rocks and roots. How quickly are you able to slow down when braking. How much grip to you have when you feather the brakes. How fast are you able to accelerate again after braking. Check out how your tires handle the impact when going through a drop off. How stable is the landing after going over a jump. Does it feel as though you are landing on your rims. After you have gone through the trail at least once maybe twice if you have little experience setting psi, now you will lower the tire pressure. Lower the psi on both tires at least 2 to 3 psi. Ride through the trail again going through the same lines you did last time. Pay attention to the grip and suspension of the tires. Notice the difference in performance. Keep doing this each time lowering the pressure by 2 or 3 psi. Once you start to feel that you are riding on rims, less stability going around corners, or sluggishness when you accelerate, then you have gone too low. Increase the tire pressure back up to the previous level. Now you can lower the front tire to 3 psi less than the back tire. You want to have less psi in the front for a bit more grip for turning and a little higher psi in the back for speed. If you increase or decrease the psi in the front, increase or decrease the psi in the back by the same amount. Eventually you will feel what is best for each tire as well as what is best for both so they work together to your benefit. Whatever the psi level is now for this trail you have been riding on, make sure you write it down. You may want to keep a notebook. I say this because now you can tweak the psi even more for better performance depending on where you are riding. You are not going to ride the same trail all the time. Each new trail you ride on once you go through it once you will want to adjust the tire pressure for that trail. When you do write it down in your notebook. Eventually you will have a record of the best psi for each trail you usually ride on. 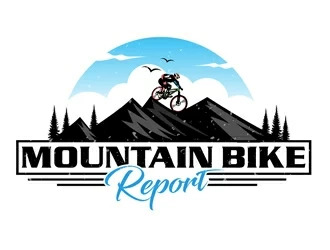 Also as you build up experience adjusting psi for each trail, when you ride a new trail and learn about the trail and what it consists of you’ll be better equipped to determine the right tire pressure even before you ride that new trail. No matter what size or type of tire you use in the future start off with the recommended psi found on the sidewall of the tire. Then adjust it from there using your riding experience. Generally a larger size tire will use a lower pressure and a smaller tire will use a higher pressure. You will also run lower pressures when using a tubeless tire compared to a tubed tire.